Almatisnky Legion earned the Higher League title. They swept the championship series versus Kazygurt. 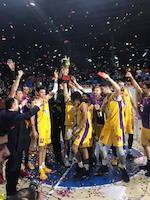 Almatinsky Legion clinched an 84:72 victory in Game 2 to be crowned champions. Vyacheslav Raguyev (195-F-93) posted 17 points and 10 rebounds to lead the winners. Legion grabbed a 26:17 lead after the first period. However Kazygurt denied the deficit and tied things up at 36 heading into the second half. But Almatinsky Legion unloaded 46 points after the big break and raced to the victory. 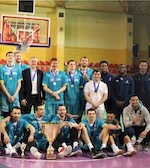 Anuar Shakirov (180-PG-00) produced 13 points for the champions. Maksutov answered with game-high 22 points for Kazygurt.